Does anyone know if decoding the aero signal is illegal? It depends on what country you’re in. In the US it’s generally allowed, but it is illegal in some other countries, such as Germany. Please can you let me know what settings you use for SDR# using an RTL SDR with E4000 tuner, for 600 bs, 1200 bps & 10500 bps. E.g. Sample rate, filter etc. Holy transistors, Batman! This works amazingly good! Just holding a tiny planar log-periodic out of the attic window and the stuff comes in just fine. Awesome! I made a crude air gap patch antenna for L Band, fired up SDR Sharp and JAERO, tuned to a signal on 1545.103MHz and waited patiently and BINGO ACARS via satellite!! I set the JAERO option to low bandwidth to reduce the processor requirements. Pretty cool for a freak like me! Has anyone tried this using the “C” Band downlink ie , the other side of the transmission ? Works pretty well, but it’s a processor hog. All I did was download decoder, re-tune dongle to 1545 MHz from 1541.450 and there was AERO with all it’s magnificent acronyms! Now we need to get someone translate the data into English! I can pick up bits and pieces, but not fun. Nice. When will the MIX4ALL be on sale? The telescopic whip won’t work for Inmarsat, you need a proper satellite antenna, or at least a modified GPS antenna. See our STD-C article that’s linked in this article for some antenna options. That LNA will work, but it doesn’t look like it has a bias-tee power option, so you can only power it via USB or the headers. Now this is one interesting article. Thanks for the information and thank you Jonti. 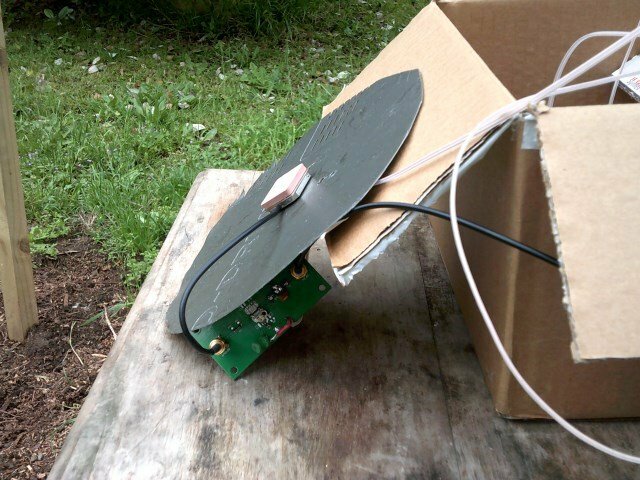 Here on the East Coast the Inmarsat bird at 15.4W is reachable with a 36 inch Ku band dish and a homebrew L-band helical antenna. A little help from an in-line preamp helps to strengthen the signal. 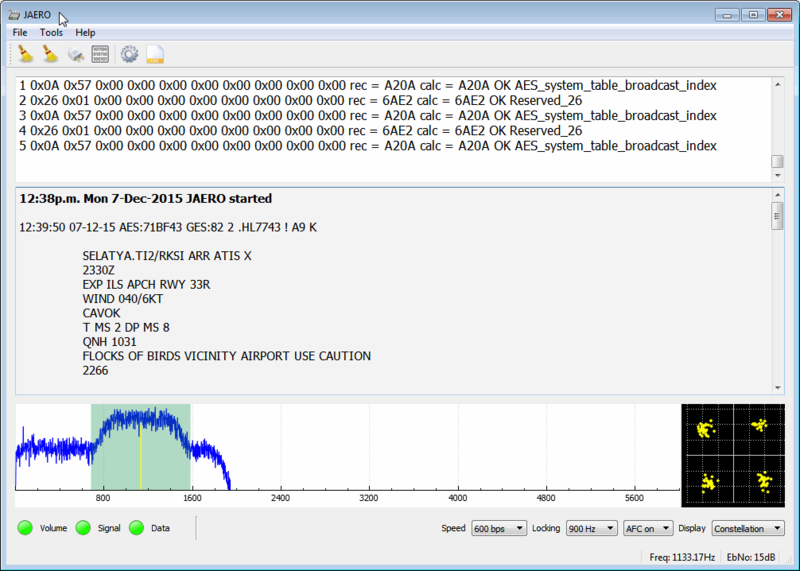 Great work and thanks again for the info on ACARS. 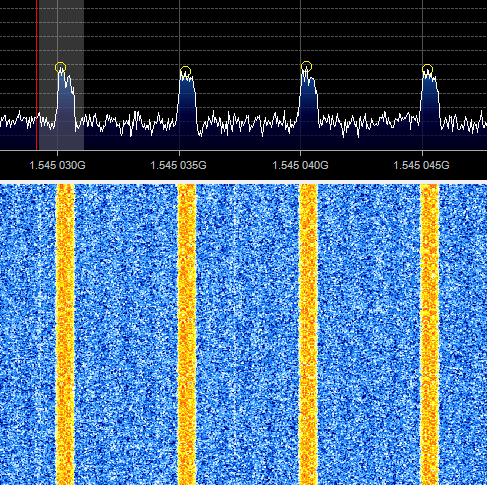 can you tell me at what freq’s we can hear voice on inmarsat?